Cockatiel Personality, Food & Care – Pet Birds by Lafeber Co.
There’s a reason why the cockatiel is one of the most popular companion birds — this slender Australian parrot can be both cuddly and bold. Cockatiels can also be curious and, at times, feisty. With a cockatiel in the house, you are likely to hear a repertoire of chirps and whistles. Lutino mutation cockatiels can develop a bald spot on the back of their head. Some aviculturists consider this to be a genetic fault, although it doesn’t appear to affect their health. The cockatiel was first classified in 1793 as Psittacus hollandicus, then moved to its own genus Nymphicus, 1832. Nymphicus is a reference to mythical nymphs and hollandicus refers to New Holland, which was the name first applied to Australia in 1644 by the Dutch, who named it after Holland. Cuddly, outgoing and comical are just three reasons why the cockatiel is the No. 1 pet bird in America. Cockatiels are also talented whistlers, and male cockatiels in particular are known for their whistle serenades, which can be directed at their favored person, their favorite object or their mirror reflection. When not whistling or keeping themselves busy foraging for food and fun around the cage, cockatiels often enjoy spending their downtime snuggling on their favored person’s shoulder. A healthy, well-socialized cockatiel can make a great family pet and is also ideal for apartment living. Cockatiels are native to the semi-arid regions of Australia. This open environment might be a reason why cockatiels don’t have the ear-piercing screech of parrots originating from dense rain-forest habitats. Wild cockatiels fly to the ground to forage for food. Cockatiels readily breed in the wild, and they are also easy to breed in captivity, which makes them widely available as pets at a lower cost than most other parrot species. Wild cockatiels are always on alert for predators and are light sleepers. A pet cockatiel might have an occasional night-fright episode, where it thrashes around the cage at night as if startled. You can help your cockatiel find its way back to its perch by leaving a night light on in its room. A cockatiel needs a cage spacious enough to accommodate multiple perches, toys, food bowls and have plenty of room to flap its wings without hitting them against anything. A cage with a large door front is ideal because it makes it easier to return a cockatiel to its cage, especially since cockatiels can be flighty birds. Cockatiels are natural ground foragers and will forage on the bottom of the cage if given the opportunity; cover the cage floor with newspaper and sprinkle crumbled treats or millet sprinkle seed for your cockatiel to find. Cockatiels are social birds and thrive when given opportunities to interact with you, whether it is gently petting their cheek feathers, being talked to or simply being in the same room as you. A healthy cockatiel diet includes commercially balanced diets, such as Lafeber Premium Daily Diet Pellets, as well as other food, fresh vegetables and some seed. A well-cared-for cockatiel can live for more than 20 years. The position of a cockatiel’s crest feathers can tell you its mood. Straight-up crest feathers can mean the bird is startled or highly curious. A defensive cockatiel will hold its crest feathers flattened close its head, and it might be especially stressed if it also hisses. A relaxed cockatiel will have slightly held back crest feathers, as well as fluffed cheek feathers and you might also hear it contentedly grinding its beak. Toys designed to be destroyed by small beaks are perfect for cockatiels and include pieces of paper, cardboard of soft wood or non-toxic rawhide to chew up. Cockatiels also like toys with hard-plastic elements, such as beads to fiddle with. Male cockatiels often seek out mirrors and other reflective items to whistle to. A cockatiel might be inclined to fly down from its cage or playgym onto the floor, so be extra cautious whenever your bird is out of the cage so you don’t step on it and that other pets, such as cats or dogs, cannot get to it. A female cockatiel might seek out a dark, enclosed area to nest in, such the corner of a cabinet or behind furniture (even if there is no male cockatiel present), so keep these areas off limits. Cockatiels can be taught to whistle back to you on cue but generally aren’t known for their trained tricks. Cockatiels are more inclined to whistle than talk. Male cockatiels are more likely to talk than females, and some can learn to speak a few words or phrases. Cockatiels tend to chirp rather than screech, and their relatively lower noise volume makes them a good apartment pet. Your cockatiel might chirp a contact call if you leave the room in an attempt to keep in contact with you. It is normal for a cockatiel to sneeze a few times a day to clear out dust or dander from its nares, which might be accompanied by a clear discharge. If the sneezing is persistent and/or the discharge is not a clear color, contact your avian veterinarian. Cockatiels are excellent fliers and need more frequent wing clipping than other parrot species because they are capable of flying not long after having their feathers trimmed. Cockatiels molt (shed old feathers and begin growing new ones) a couple times a year. A main health concern for female cockatiels is chronic egg-laying, which can deplete her body of vital minerals and calcium, as well as egg binding, in which the hen is unable to pass an egg. (A hen does not need a male cockatiel present in order to produce an egg; it will just be an infertile egg.) Female cockatiels, therefore, often need extra-calcium in their diet, such as a calcium-fortified base diet or a supplement like cuttlebone. Since cockatiels are often fed a mostly seed diet, many suffer from malnutrition and vitamin and mineral deficiencies. An all-seed diet is also high in fat, which can lead to fatty liver disease. A healthy, low-fat diet with the right balance of vitamin, minerals and amino acids can go a long way in preventing disease in your cockatiel. 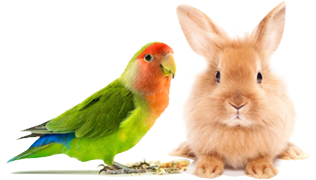 The Lafeber Company offers many diets, including, Premium Daily Diet Pellets and Classic Nutri-Berries that are specially formulated to meet your cockatiel’s dietary needs. Pet cockatiels are available in large pet stores, avian-specific retail stores, direct from a bird breeder or through a bird rescue/adoption organization. If you are adopting a pet bird from an bird rescue or adoption organization or an individual owners, get a thorough rundown of the bird’s history: Why is the bird being given up for adoption? Does the bird have any behavioral issues or phobias? How does the bird prefer to interact; does it enjoy being petted? What type of food does the bird eat; does it have favorite treats? Has the bird been to a veterinarian? If you are buying a young bird, make sure it is fully feathered and fully weaned (does not need to be syringe fed or parent fed). Signs of a healthy bird include: alertness, clean and vibrant feathers, bright eyes and nares that are clean and free of runny discharge. Ask if the pet store or breeder has a health guarantee and/or includes a free visit to a veterinarian for a health checkup. Cockatiels are in their own genus (Nymphicus hollandicus) and are related to cockatoos. The normal gray cockatiel has the same coloration as cockatiels in the wild, and males are easily distinguishable from females in that they have a richer color gray and bright orange cheek feathers, while the female’s feathering is more muted, and she also has a barring on her undertail feathers. Pet cockatiels come in a variety of color mutations and cross mutations, including the lutino (yellow), pearl and the pied mutations, as well as whiteface and albino varieties. In color mutations, it might not be possible to visually distinguish males from females.